Join with the families of Tangible Grace, First Presbyterian Allen, and Zoe Church as we celebrate Easter weekend! On Saturday, April 20th, we’ll be getting together to spend some time in fun and fellowship. 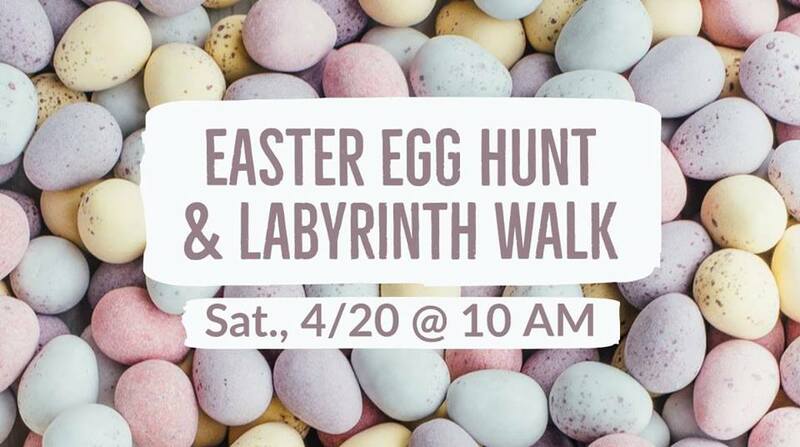 Starting at 10:00 a.m., we will be doing an Easter egg hunt that you won’t want to miss! We encourage you to bring children of all ages and invite friends and family to join in! At 11:00 a.m. there will be a guided walk through the prayer labyrinth by First Presbyterian. It will be a perfect time to reflect on the stations of the cross and meditate on Jesus’ teaching ahead of Easter Sunday. We can’t wait to see you and yours there!